As a local, family-owned operation, Frank’s Pumping, Inc is committed to providing excellent service. We have the experience you can trust for all your septic, plumbing, and construction needs. Customer satisfaction is our number-one priority. For this reason, we focus on quality and offer clean, fast, and reliable service the same day you call. Frank’s Pumping is fully licensed and insured with septic system experts providing the best quality service for all septic issues. In order to have your residential septic system running at its best, it is important to maintain your septic system for optimal function and possible prevention of any future problems that may go wrong. Our trained professionals use only the newest, high-tech septic pumping equipment that can help combat any septic issue or problem. With all of our top-of-the-line equipment, you know you can trust our septic experts with all your residential septic pumping and repairs. Frank’s Pumping’s septic experts are trained in a wide range of commercial septic system services. Our highly trained technicians can guarantee to find a solution for all your commercial septic problems. From commercial septic tank installations and repairs to hydro-jet cleaning, our dedicated professionals can do it all. Frank’s Pumping’s septic experts only use the latest high-tech equipment to provide our customers the highest quality service. Frank’s Pumping is the experienced and trusted local experts at new septic system installation, as well as upgrading or repairing existing systems for residential customers throughout the Inland Empire. Our professionals to trouble-shoot your system and can inform you of the necessary repairs. In order to pump septic tanks, Frank’s Pumping utilizes the newest high-tech septic pumping equipment in the industry to bring our customers the best quality of work. Our technicians use our Crust Buster equipment, a $75 value, to break up solids before the pump for better results. A perc test of a leach line are done by our certified technicians. This test determines whether your leach lines are working properly. A perc test in the Inland Empire will ensure how quickly a high volume of water will be absorbed in the subsoil of a drilled hole which detects the seepage level. Our septic services specialize in hydro-jet cleaning of residential septic tanks and drains. Hydro-jet cleaning is the only method that will truly clean your sewer and drains like new. By using high-pressured water to scour the interior walls of grease, roots, sand, dirt, and debris, it will literally flush away all your septic problems! We offer digital camera inspections in the Inland Empire to inspect the inside of your septic system, drain lines, and drain fields. By using one of the most valuable tools in the plumbing industry, our waterproof camera allows us for a visual inspection, finding potential future septic system issues. This cutting edge technology places us among the leaders. Can’t find your home septic tank buried under all that dirt? Frank’s Pumping can provide residential septic tank locating services in the Inland Empire. We have the latest technology to find your home septic tank by using our electronic locating devices that can detect cast-iron and PVC pipes that can detect cast-iron and PVC pipes. Our septic service experts will be more than happy to fix your septic problems any day of the week, any time. We provide septic repair for homes and 24 hour emergency rooter service throughout the Inland Empire. 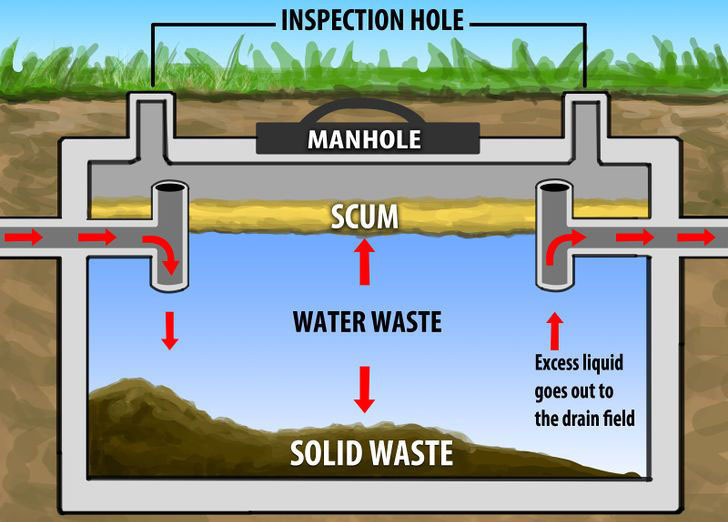 We are a licensed sanitation system C-42 contractor; we provide top septic tank services for homes in the Inland Empire. After fully inspecting your septic system, we will provide you with a C-42 certificate if all requirements are met. Frank’s Pumping technicians are trained and certified to install ATU System An Aerobic Treatment Unit (ATU) is an innovative technology, providing consistent and reliable advanced. At least every 3-5 years: The industry recommendation, guided by the Department of Environmental Quality, is to pump your system every three to five years. Heavier usage, leaky toilets or faucets, foreign items introduced into the system, or use of non septic friendly chemicals can influence the time between maintenance, increasing the frequency necessary to keep your system working well. Keep a record of tank location – Either you or the septic technician can draw a sketch, showing the location of your tank in relation to your yard and house. Note how deep the tank is buried – For easier servicing, have risers installed. They will pay for themselves the first time you have your next service by avoiding any labor charges for digging. Note the “size” or volume of tank – The septic size, in gallons, dictates the amount you will pay for service. You are charged by volume. Keep a record of the ”size”. This will help you figure the price for service, in the future. Keep in mind that the amount of material pumped from the septic tank can be greater than the capacity of the septic tank if it overfilled and backed up – what is being pumped is not just the contents of the tank, but the overflow, as well. Keep tabs on condition – Ask the technician how the tank looks, is it structurally o.k. Are the baffles or tees in place, and what is the overall condition? Are there problems that need prompt attention? Preventative maintenance is always less expensive and more convenient than correcting emergency problems. Always call Frank’s Pumping first. We can ask you questions to help you diagnose whether your symptoms might be attributed to plumbing issues, or if you are truly experiencing a septic system problem. Most plumbers have little or no septic experience, so you could be wasting money by calling a plumber first. We get many service call orders from plumbers who are unable to remedy a customer’s problems. County health departments issue permits and inspect systems as they are installed. If your system has been installed in the last 20 years, you may be able to find a sketch of the layout of the system attached to the original permit (Only in the last 8-10 years have these permit drawings been required to have a high level of accuracy).